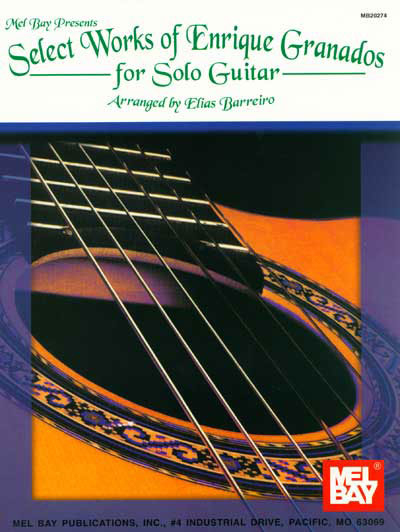 Elias Barreiro has compiled and arranged 15 select works of Enrique Granados for solo classic guitar. Included are selections from six of his pieces for piano. All in standard notation, with the author's suggested fingerings, and tablature.